A 64-year-old man presented to the emergency department with a 2-week history of progressive jaundice. His medical history included an episode of necrotizing pancreatitis about 6 months previous to the jaundice onset. Abdominal ultrasound suggested dilatation of the intrahepatic bile ducts. 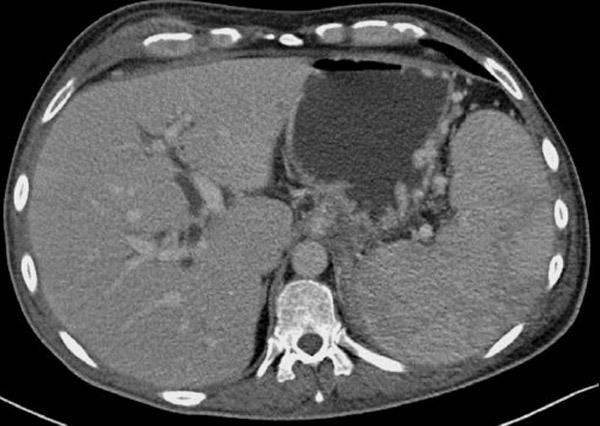 Contrast-enhanced MDCT of the abdomen and pelvis was performed to rule out biliary obstructions.